Keep forgetting to order your next lot of fertiliser? Want to get access to exclusive prices for our products? Keep your lawn on track all year round and get your Lawn in a Box today. Lawn Shop Lawn Fertiliser – A multi-phased stable slow and controlled release mini prill spring and summer granular fertiliser suitable for all lawn types. With an analysis of 28-3-8 plus Magnesium and vital Trace Elements and one that is NOT sulphur coated. In a very handy 5 Kg Bucket so use what you need and keep the lid shut tight afterwards and it will store if kept dry and sealed until it is time to feed your lawns again in 3 months time! The mini prill granule is totally soluble in a matter of hours. It is not easily picked up by mowing practices unlike the sulphur coated types favoured by many of the lawn treatment companies. 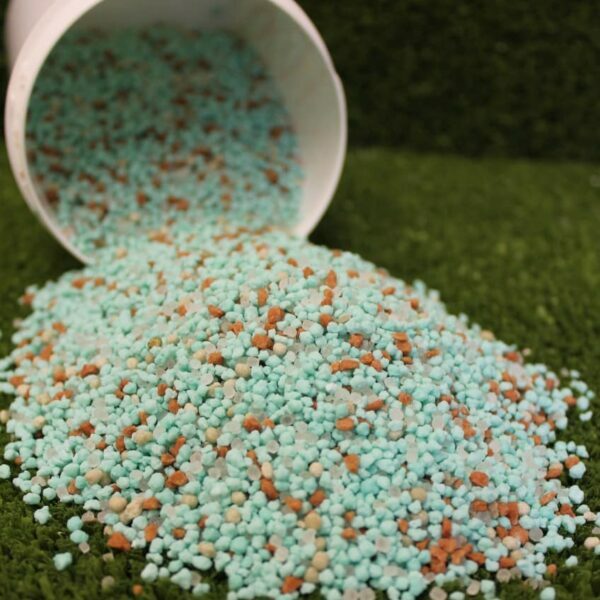 Each fertiliser granule contains equal amounts of nutrients which ensures even coverage and growth patterns. 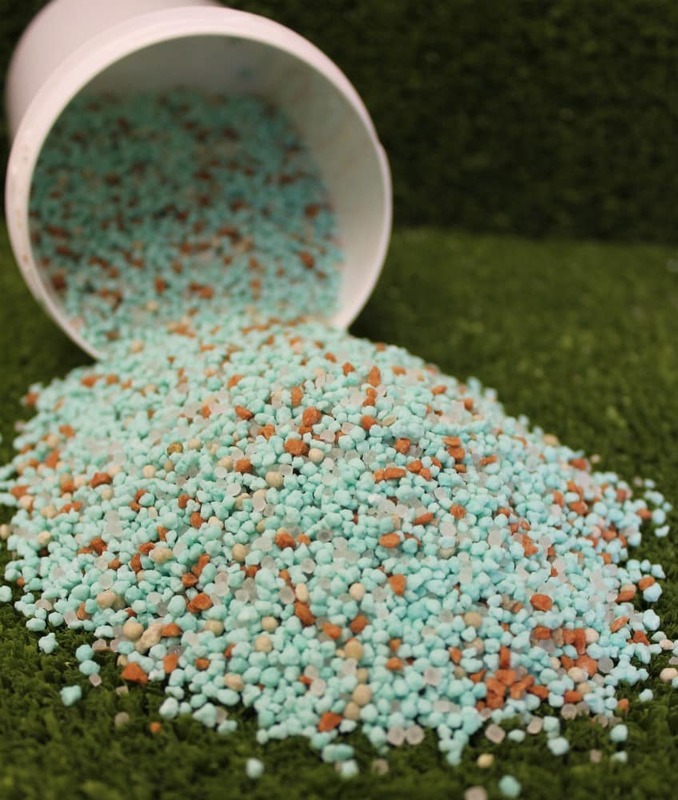 The release of Nitrogen will be over a 12 week period with some initial green up as the nutrients are available to the turf grasses within a few days following application, without the rapid vegetative growth flushes that can be experienced from some conventional mineral lawn fertilisers. It has a low scorch potential if properly applied, allowing ease of application. Best applied via a spinning disc fertiliser spreader. Contains no moss control or selective weed killer. Re-apply every three months throughout the year from February up until October then switch to an autumn and winter fertiliser.